Stay at Home Blessings: Teaching our Kids to Pray. Teaching our Kids to Pray. Teaching our kids to pray is a privilege and blessing for us moms as it is a Christ-honoring task. To raise up children who knows how to pray is sowing into the future generations a people who would stand in the gap. How do we teach our kids to pray? As for now, I can think of 3 words to do this: modelling, motivation and consistency. Modelling: Just as Jesus gave a model prayer to his disciples (Matthew 6:9-13), we should also model to our children how to pray. It may consist of memorized prayer for starters such as "God is great, God is good, thank You Lord for our food" for the young ones. But most importantly, is to pray with them, so that they will actually see how we talk to our heavenly Father. How will they pray if they don't see us pray? Motivation: There is no greater motivation to pray than having received answers to our prayers. And this is a promise of Jesus in Mark 11:24 "Therefore, I tell you, whatever you ask for in prayer, believe that you have received it, and it will be yours." It is up to us to share with them the promises of God's Word to motivate them to pray. 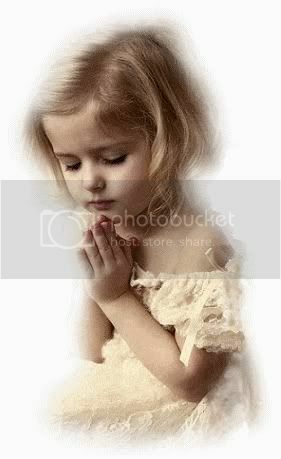 Then, when our kids see that their prayers are answered, they will be more enthusiastic and faithful in praying. Consistency: Jesus said "when you pray..." (Matthew 6:5) meaning it is expected of us to pray. If we want praying to be a habit in our children, we have to encourage and initiate praying consistently with them. Then, when they have developed the habit, it would be something that they would do themselves. Prayer brings blessing and power to the lives of the prayerful. Wouldn't we want our kids to be blessed and be a blessing? When the children are blessed, the mother is more blessed. Thanks for the tips on how to pray. My parents taught me too how to pray and it really feels good. Thanks for dropping by little Karl. You will thank you parents for teaching you to pray. It's one of the best treasures parents can pass on to their children. i say amen to this post. we should train them to pray while they are still young. it may not be so easy but by His grace we can.